The Rockets pushed the Warriors to the brink of elimination but a cold shooting night shattered their hopes. Houston now heads into the offseason with some major questions. The Rockets did what so many fans wished for at the start of this NBA season—they made the Warriors earn it. Golden State is in the Finals as many expected, but what felt like an inevitability for so much of the season now almost feels the slightest bit like luck. What if Chris Paul didn’t get hurt? What if the Rockets hadn’t set the NBA record for consecutive missed threes? 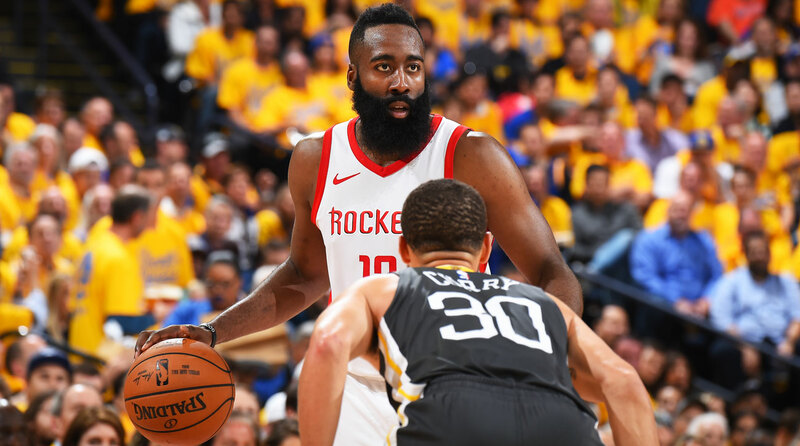 Houston was built last summer with the specific purpose of pushing the Dubs, and it did exactly that in 2018. NBA history is littered with teams who needed to lose together once or twice before finally climbing the championship mountain. It’s also filled with teams who fell short once and never again reached those heights. Which category will these Rockets fall into? Houston’s long-term outlook is complicated. The first decision Daryl Morey must make this summer will be what to offer Paul, who is set to become an unrestricted free agent. Paul made the right decision to sign with the Rockets, and if he hadn’t strained his hamstring, it’s very well possible (and maybe even likely) he would be getting ready for his first Finals right now. Most assume the Rockets and Paul had a wink-wink deal in place for a max deal this summer when Paul agreed to be traded to Houston last summer as opposed to signing as a free agent. But what kind of deal will Morey offer? Paul will turn 34 during next year’s playoffs. He was remarkable this season, but history typically hasn’t been kind to point guards as they enter their late 30s. Paul missed 24 games during the regular season, and for the second time in the last few years, he couldn’t finish the postseason due to injury. Morey will almost certainly bring Paul back despite these concerns. But if CP3 signs something like a two-year deal instead of a long-term contract, then the Rockets will then already be playing within a very definitive championship window. After Paul, the Rockets will then have to decide what to do with Clint Capela. The big man was great during the first two rounds of the playoffs, but took some time to find his footing against the Warriors. Capela is the ideal rim-running big man for the modern game, so much so that he will certainly be offered a max or near-max contract in July when he’s a restricted free agent. Houston will have the right to match, and Morey probably will. But will the Rockets be comfortable with a core of Capela, James Harden and Paul, a group nine years apart in age? Bringing Capela and Paul back will cap out Houston pretty quickly, and make upgrading the team a little difficult. Trevor Ariza also needs a new deal this summer, and he’s in line for a significant raise. Gerald Green and Luc Mbah a Moute are free agents this summer, and they both played key roles for the Rockets at different points during the year. Ryan Anderson’s contract looms as an albatross, and for a team that was basically only playing six players in the conference finals, attaching a rotation player to get rid of Anderson in a trade is a risk. It would make sense for Houston to bring this exact same group back next season and hope better health is the difference when it comes to making the Finals. But not trying to improve a group that ultimately fell short of its goal is a risky proposition, especially a group that is aging. Paul will be 34 next May, PJ Tucker is 33, Ariza is 32, and Eric Gordon will be 30 this year. Morey certainly isn’t the type of general manager to stand pat, but bringing back all of his key players while adding talent is going to be a tricky balancing act. Meanwhile, the Warriors have their core intact and their stars are openly discussing taking discounts. The Rockets are experiencing the fragility that comes with constructing a championship contender. On the court, Houston’s season arguably swung on one extremely unlucky injury, and one historically cold shooting night. A few floors up, the front office has to decide which set of successive doors to open to keep the team on the right path. One failed trade or one ill-advised contract can significantly hurt your team’s chances, especially with the Warriors making the margin of error frighteningly small. If there’s a reason for hope for the Rockets, it’s that they pushed the Warriors to the brink. On some level, Houston knows the formula. Last summer, Draymond Green told GQ teams were panicked because they knew they didn’t stand a chance against the Warriors. That was not the case during the conference finals. The Rockets certainly had a chance to dethrone Golden State. What remains to be seen is if they’ll have another chance as good as the one this season.